Modern medicine as well as modern ‘natural medicine’ have become increasingly caught up with almost entirely relying on the ‘prescription of medicines’ to treat disease rather than looking more deeply into the causative factors in the persons life. Once the cause of the disease condition is identified and understood correctly, the patient is most often more than halfway towards a positive lasting treatment outcome. Medical and medically indoctrinated natural medicine practitioners are trained to following ‘treatment protocols’ for the treatment of the specific ‘named’ disease condition. Less time discussing and investigating possible underlying causative factors and swift proscribing of medicines and supplements has become the norm. So often the individual’s mindset and internal and external environments are producing toxic chemistry effecting the person’s health and overall life experience. Also, we are living in a new age of technology that is brining with it new symptoms and diseases conditions. Everything has to be considered when treating the modern individual. Peter offers a very real and personalised approach to each individual who seeks his assistance. None are treated as routine or ‘protocol’ – all are explained what is causing their disease and this is what makes his service and approach different from most other healthcare professionals, medical and non-medical alike. Peter’s main focus is simple. Correctly identify the cause of the disease and show how to remove it where it is possible. This is the swiftest and most effective method of stimulating the body’s own healing response. If you are unwell, there is a reason (cause) for it! Identify and understand the cause and you are more than half way to recovery! Click here for an appointment that may just possibly change your life. You can have a consultation with Peter from anywhere in Australia or the overseas via the phone or Skype. For many years Peter has successfully advised people using this process. Peter can give you personalized instruction that can help you specifically move forward in your desire to help yourself. To book your phone consultation now, simply Click here. Our four year old son had been suffering with sever asthma attacks for ten moths, and had been constantly treated with steroids, Ventolin and Intal. Not only was his asthma still persisting, but he had become totally uncontrollable. All this is due to our monthly phone consultations…Thank you. I was almost paralysed down my left side. I could not move without sever pain. My joints were swollen and I knew I was in trouble . My GP confirmed Ross River Fever and said ” You could suffer for the next 3 years”. I am now a new woman. Now just 4 months later after being so ill, so depressed and so stressed I feel so healthy happy and young and I am able to set my mind to do almost anything. I want to thank Peter for saving my life. I suffered for four years with shingles seeing four doctors during this time who all told me I’d have the pain for the rest of my life. Then I was recommended to see Peter…I couldn’t believe how easy it was, as after only three days I was free of pain. Peter has always been just a phone consultation away. ‘A long life lived is not enough but a good life lived is long enough’. ‘It is not so much ‘how long we live’ but rather ‘How Well we are, while we live’. Are you feeling fat, out of condition or even down because of how your looking and feeling? Has your ‘get up and go’ – ‘got up and went’? Is your Self-confidence and overall self-concept feeling the effects of gravity as well as your body? All sagging! How many of us of over 50 – 60 and even many over 40 can see and feel the signs of ageing accelerating? For many it can be very deflating and depressing as we see our youthful physique changing shape and the freshness and zest for life disappearing from our face, eyes and attitude. It is true to say, ‘when we look good – we feel good’. And when we feel good we function better and our energy and life flow in a more positive flavour. All this in response to our mind-set and self-concept. Our life is dyed in the colour of our imagination and if we see ourselves as fat, ugly or in a negative shadow, we attract more of the same – Negativity pulling in a gravitational downward spiral. Our ‘Self-concept’ is everything! This has everything to do with our health and how we feel and function, our happiness and how we respond to life’s challenges, our success and sense of achievement and personal satisfaction and importantly, it is the basis for our peace of mind. “You can loose all your money and you have lost a lot. If you loose your peace of mind – you have lost everything”! In this situation, all you have, all you are, all you have achieved, all your family and love ones cannot be appreciated or enjoyed anymore. I have some positive news for you! If you are in the same boat of most of us ‘ageing human beings’, All this can be changed and literally transformed. But you do have to know what to do, how and when to do it. This is where I may be able to help. Apart from being highly involved in sports and artistic physical expression from an early age, I have also been practising in health and fitness most of my life. A serious spinal accident while surfing when I was 17 years of age led me to discover the Natural Healing Arts and this more than changed my life, it completely transformed my life, on all levels! (Please see my Biography). 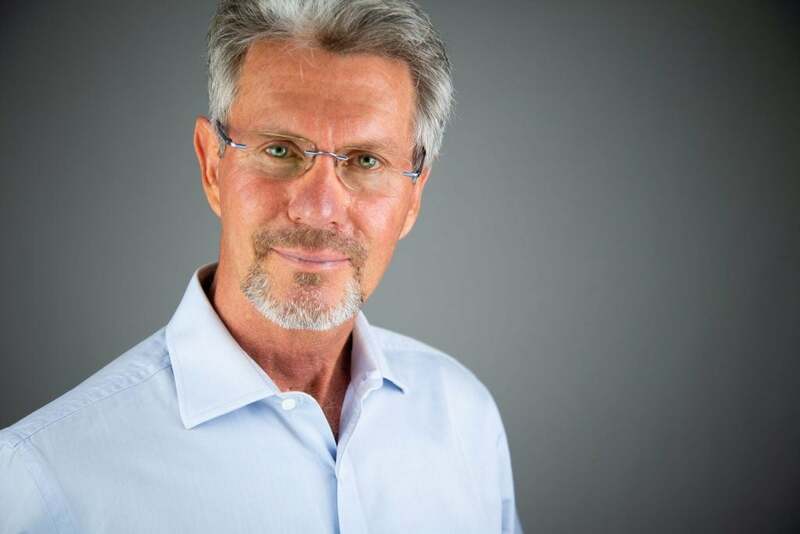 For over 40 years I have had a wonderfully successful professional clinical practice. I have always specialised in teaching ‘Lifestyle Therapies’ (ways to effectively help yourself) and practising my own style of Natural health cultivation I call ‘Vitality Living’ all of these years. First and foremost, I am a Naturopathic Physician. If you have an ongoing health or life challenge, I can usually see what is contributing to the cause and show you how to remove it or at least deal with it more effectively. I am a Clinical Nutritionist and Herbalist and can guide you in how to feed and fuel your body optimally according to your individual needs so you will digest, assimilate and eliminate more efficiently and hence, function and feel better. I can also provide guidance on intelligent supplementation and nutritional support to improve performance and strip body fat. Also, as a herbalist, I can formulate specific formulas to energise and assist your mind to quieten and perform better and body-wise, to loose weight, gain lean muscle mass, reshape and rejuvenate where possible. During my entire career I have specialised as a Muscular Skeletal Remedial Therapist and am trained in dealing with muscular skeletal problems particularly back and spinal problems. This is why my exercise and yoga instruction has evolved and is geared to teach how to safely repair and regenerate where it is possible. Registered Advanced Personal Training, Gym instruction and Therapeutic Yoga? Yes however – I do more than just give instruction in Exercise and Yoga. I teach and show specifically how to rejuvenate the physical body where it is possible. Revitalising bodies, minds and lives requires more than just yoga postures, lifting weights and doing exercise for fitness. It requires wise dietary instruction, intelligent nutritional supplementation, Healthy Lifestyle discipline and habits that create Vitality and wellness. And the right exercises to stimulate the body and mind to self regulate, self adjust and self rejuvenate out of any physical, mental, emotional or metabolic rut into a higher level of function and awareness. Yes the mind and body can do this when given the correct vision, biological plan and chance to proceed without interference. – WOW! Counselling and teaching how to use the mind. I show people how to reset their mindset by identifying and dealing with self-sabotarging thought patterns if present and how to use their mind to create the quality of life or changes they are seeking. So – Yes I am actually teaching how it is possible to ‘rejuvenate the body you live in’ – where it is possible through movement, enhanced nutrition and discovering how to use your mind to create new and positive outcomes and life experiences. Einstein was one to share this fact: ‘Imagination is more important than Knowledge’. It was the Buddha who said, ‘Since everything is a reflection of our minds… Everything can be changed by our minds’. Learn to use your mind and draw on inherent powers in you and your whole world can change immediately. I’ll teach you real ‘mind games’ (exercises) that can work for you in very positive ways. You cannot stand still on the outside when you are moving on the inside! It is not only your body that changes. Your mind and life take on a new sense of direction and energy. Your body effects your mind and your mind effects your body. We are a synchronised unit and the whole body responds to your mindset. And, your mindset also just as reliably responds to what is happening to your body. I see individuals minds and lives change, improve and rejuvenate when they get their body moving right and with the right nutritional guidance I call ‘Smart nutrition’. However, I must bring out, it is no benefit to just improve the diet without improving the body’s ability to ‘digest and process’ what they are eating. ‘It’s not just what you eat but – What you digest that make the difference’. 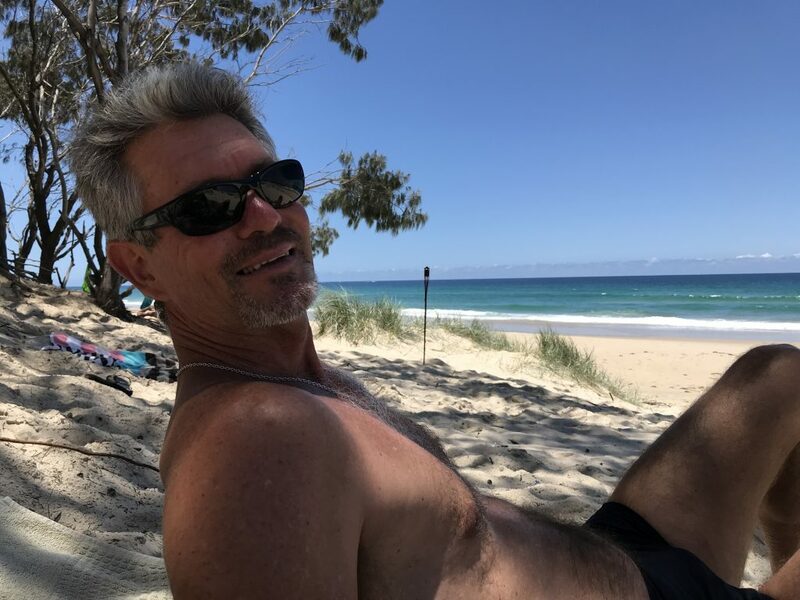 I am over 60 myself and have had accidents, broken bones, multiple fractured vertebrae, crushed spinal discs, knee op, hernia and serious digestive and bowel problems. I have successfully overcome all of these health challenges and believe I am in the position to meet you where you are no matter what condition you are in! I do not say I have all the answers, no one person does. 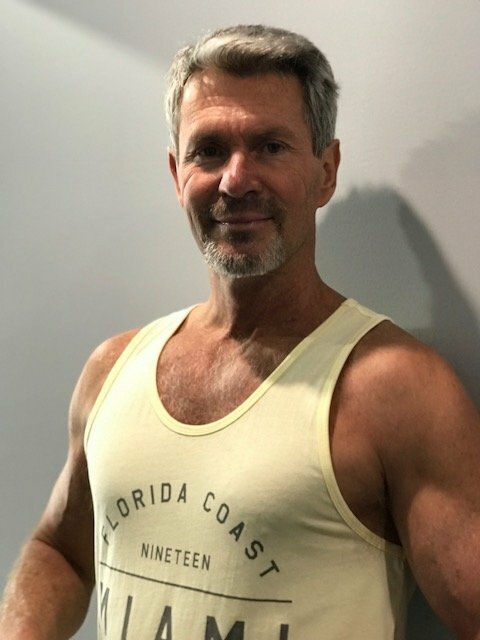 I do say, I am quietly confidant that with my training and life experience, I can give you the information, instruction, dietary advice, treatment, therapeutic exercise, mind exercise or whatever it is you need to restore and rejuvenate your body and self-concept as much as it is humanly possible. But – You would have to be onboard with me 100% and Focus, Dedicate and Discipline yourself to follow my instructions. A Lasting Positive Outcome. Overall Re-Invention of you the wonderful individual you are but may have lost somewhat somewhere over the years. “True wealth is not what we have, it’s what we are. And it is our Wellness that is far more precious than our riches as we age. It also pays much greater returns than any other investment”! Consider making an appointment with me for a consultation either in person which I always prefer or at least to get started, by phone or Skype. Please see my home page and click on the photo of me at the top left. I am looking forward to sharing with you. Better still, seriously consider coming and staying at our beautiful Rejuvenation Retreat and get everything you need to get started in a very positive way on all levels. I can go through all your nutritional and exercise needs to cater for bringing your goals of self-transformation, self improvement and self re-discovery and empowerment into reality. 2/ A person has to understand what to do and how to do it properly to allow the body’s healing and rejuvenation response to be maximised to its full potential. This is what I would like to share with you. 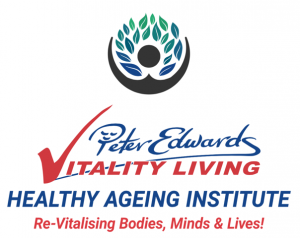 Peter Edwards @ 60 Years Young working hard on ‘Healthy Ageing by practising Vitality Living’! “True wealth is not what we have – It’s what we are. The greatest investment you will ever make – Is in yourself. The wise plan not only for their future wealth but also for their lasting health. The greatest physician you will ever have, is You! However, you can only help yourself when you know what to do. Knowledge and understanding yield wisdom and personal power to help yourself. Survival and real wealth which is Lasting Health requires you to be Health Wise and Self Wise. Simply, continued Wellness is ‘The Wealth of the Wise!